Date like you’re 12 again | Team Alzen! 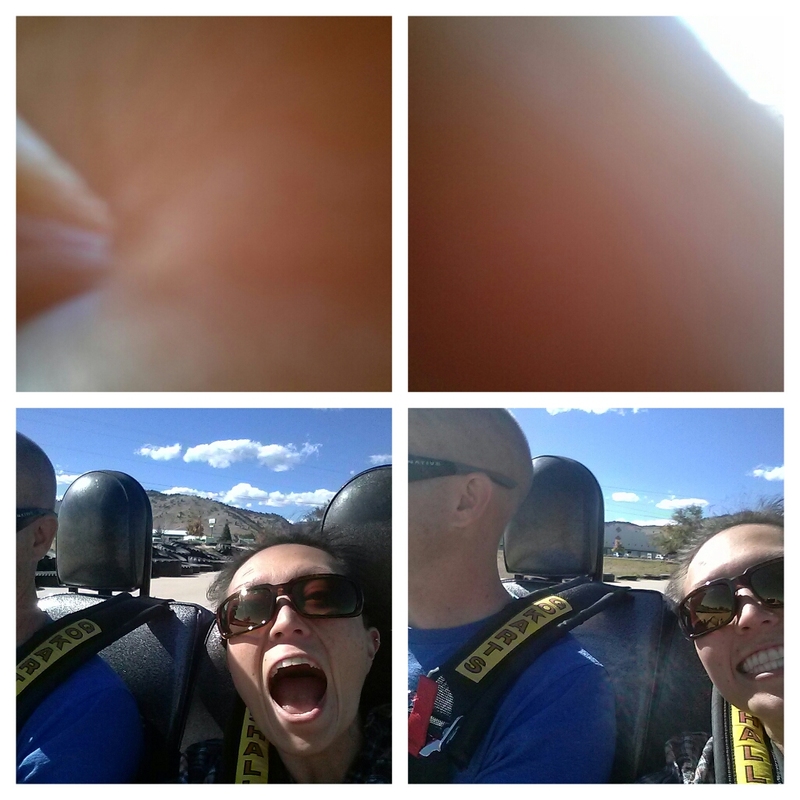 The other day after church Husband says to me “Let’s go to Gateway Fun Park. I bought a Groupon”. For the CA readers in the group, Gateway Fun Park is like Fiesta Village, but like half the size. I had not been there before, but Husband had been twice. I giggled at him, but the weather was beautiful. Off we went! We were the only adults there without children. It was seriously like I was 12 again on a silly date, and it was wonderful. Do you see how gorgeous this day was?! After the go-karts, we went to mini-golf. I am also terrible at mini-golf. To get into the course, you had to put a token into a turn style. The first hole was right next to a fence. My first hit caused the ball to hit a rock and bounce out of the fence. Husband had to jump the fence to reclaim my ball and jump back in to continue playing. 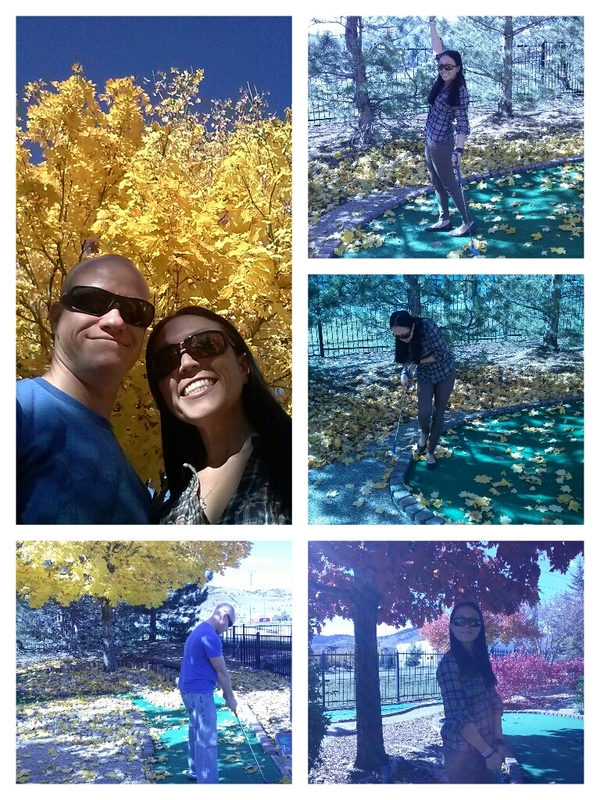 Despite my poor performance, the trees were absolutely beautiful, so I took some photo ops. Do you see the yellow and red trees?! Fall was my favorite season when we lived in California, and I love it so much more now that it’s an actual season with colors! I don’t remember why, but I was making that ridiculous smug face by the red tree for a reason. I only lost by 8 strokes. Not bad considering my poor beginnings. After mini golf we played in the arcade along with all the other 10-year-old boys. I failed to get a picture of this, but my plan was for Husband to earn 160 tickets in Skiball to earn me a super gaudy and cheap $.50 ring with a huge jewel on it. We did not quite make the goal and instead helped make some little boys dreams come true as we donated our winnings to his collection. I skipped to the car and we headed home after an absolutely fantastic date. I highly recommend such shenanigans, particularly if you’re an old married couple like us. Posted by jalzen on November 3, 2013 in Team Alzen!